We spent yesterday at Maria and Jorge's beautiful wedding at the Grand Isle Lake House on the shores of Lake Champlain, and I've enjoyed spending the better part of this rainy evening pulling out some of my favorites from the day. The best way I can describe Maria and Jorge's wedding theme would be Vermont/South American fusion, and it was a delight to watch how Maria, Jorge, and their families worked to merge and honor both cultures. Maria, who grew up in Central Vermont, met Jorge, who grew up in Ecuador, while Salsa Dancing in the U.S. Over six years, they grew more in love, and learned to love each others' families and homelands. 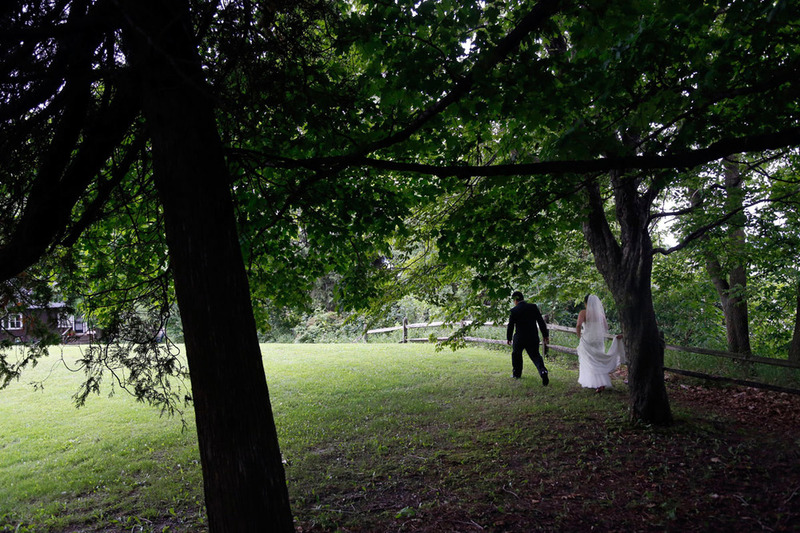 Their endearing vows were read to each other in Spanish and English, and many elements of their ceremony overlooking Lake Champlain included both languages. The day was a celebration of new family, old friends, and a reminder of what love is! *Maria's father, Mark, learned enough Spanish to translate a portion of his toast so that Jorge's family would be able to understand- Jorge's mother, Elgia, gave him encouragement along the way. *The many details that hinted at Maria and Jorge's heritage: the Ecuadorian and Vermont flags that hung from the porch of the Lake House, the Ecuadorian flower vases, and the rustic wood platters the cupcakes were placed on (Maria and her father, Mark, cut the tree down together). *The wide lawn of the Grand Isle Lake House lends itself to fun and games, and the many children that were invited roamed around, playing soccer, frisbee, bocce, and climbing trees. *We've never heard so much Salsa music and seen as many good dancers than were at Maria and Jorge's wedding! This was our first time at the Grand Isle Lake House, and we fell in love with the light, land, and architecture of the house, and hope to be back soon!